← From the Annals of American Political History: Harry Baals and Wankard Pooser. The Blog of Funny Names Turns 500! “Outerbridge Horsey VII, seen here posing with animals.” This caption – written by Arto – was the first image caption on the blog, and is still one of my favorites. HELLO FUNNY NAMES FANS! Dave here! It’s hard to believe we’ve reached this point, but today’s post marks the 500th entry in the history of the Blog of Funny Names. 500 posts! 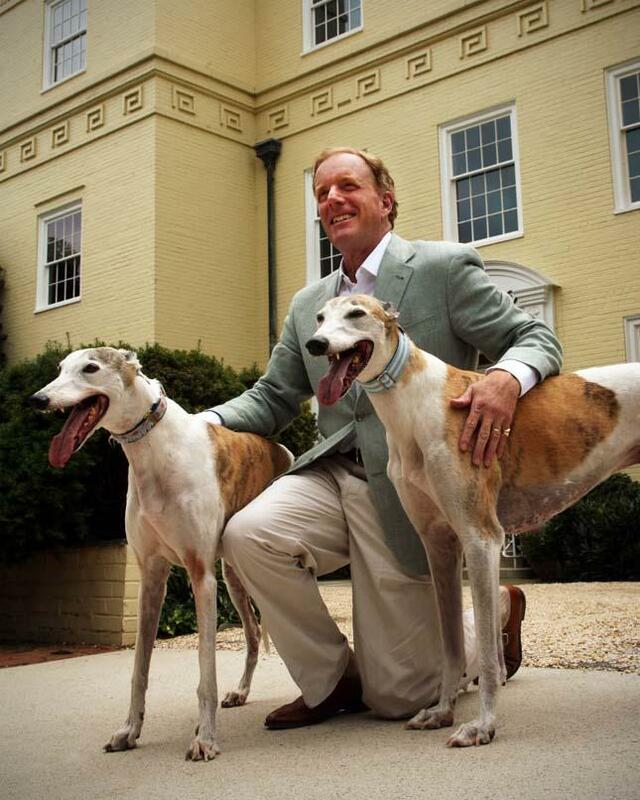 It’s hard to believe… a little less than 3 years ago, we started this blog and profiled a group of extraordinary (and extraordinarily accomplished) gentlemen sharing a delightful name: Outerbridge Horsey. Since then, the blog has grown to a point where 10 people have authored posts, and we’ve gotten over 170,000 unique hits. Rather than do our usual weekly round-up of funny names in the news, Arto decided to throw together a list of funny names associated with the number 500, and then following that, I’d like to take a moment to acknowledge each of the writers who helped us reach the big 5-0-0. Howdy Wilcox, looking exactly like I’d expect a guy named Howdy Wilcox to look. “In celebration of 500 posts, here are some thematically related funny names! 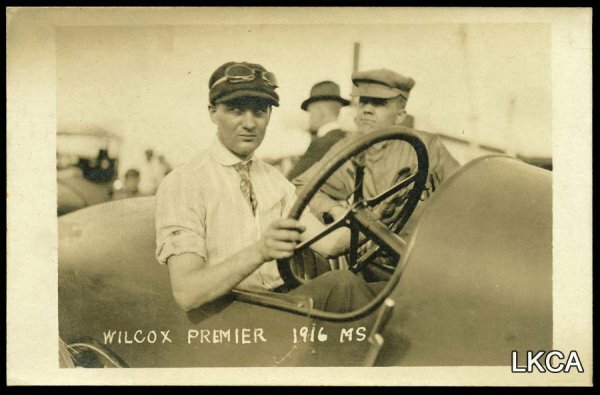 Indy 500 winners include Howdy Wilcox, Gordon Johncock, and Gaston Chevrolet, who has a very appropriate name for a race car driver. 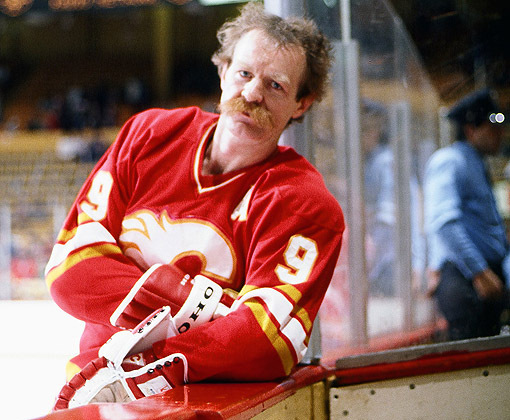 Lanny McDonald, a Calgary Flame with a flaming red mustache, exceeds all possible expectations I had for what a Lanny McDonald would look like! The list of the NHL’s list of players to score 500 or more goals has a lot of French people, but also Dino Ciccarelli, Mike Bossy, and Lanny McDonald. Fannie Mae, because fanny, tee hee. J.P Morgan Chase, because Chase was founded by the Honorable Salmon P. Chase. Having read the entire list I can confirm that people naming and in charge of massive corporations are indeed soulless, unimaginative, corporate-speak worshiping, acronym-devouring, merger-monstrosity-favoring ultra boring brand creator hacks. Come on guys, a little imagination wouldn’t hurt here. The best surviving depiction of Theudebert I, albeit with a Picasso-esque arrangement of facial features. Theudebert I, the King of Austrasia (not a typo), was born in the year 500. But you already knew that. 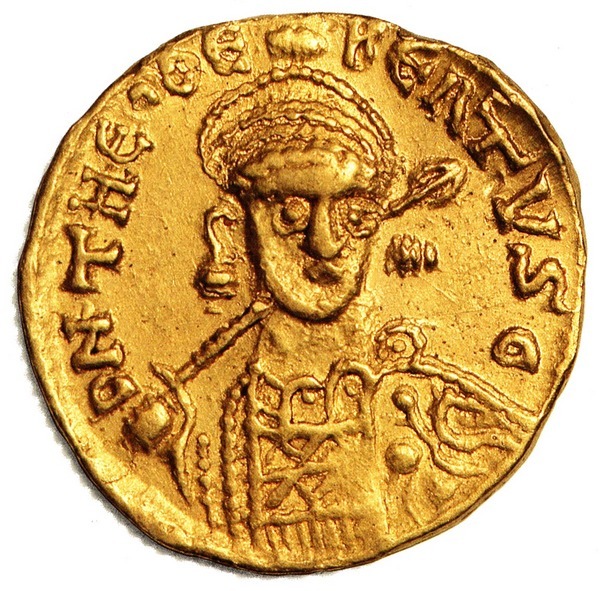 Everyone knows all about Theudebert I, the coolest guy in the year 500. All the young girls had his posters on their wall, all flexing his pecs in sweaty Austrasian glory. The best name for a 500- race is definitely held by the Goody’s Headache Relief Shot 500 in Virginia, whose winner receives a custom built grandfather clock for some reason. Good times. Mel Ott and a friend doing some interpretive dance ritual. Thanks Arto! That was an impressive round-up! The Cast of Characters, and a Huge Thank You! In celebration of #500, I’d like to take a quick moment to acknowledge every one of the writers who helped make the BoFN what it is! You’re all very much ap, bpreciated, and have become part of a virtual family, of sorts. I didn’t know how to order this list, so I decided to do it by how many posts you’ve written. Arto, 144 posts – My partner in crime, co-founder of this blog, and everyone’s favorite Finn. This blog wouldn’t exist without Arto. He encouraged me early on to keep building the Funny Names List, and then was the impetus for us starting the BoFN. Not including this one, we’ve combined for 320 posts between the two of us, and even though I’ve been a bit more prolific, I will always tell everyone within earshot that Arto is the funnier writer. His understated, dry wit is masterful. 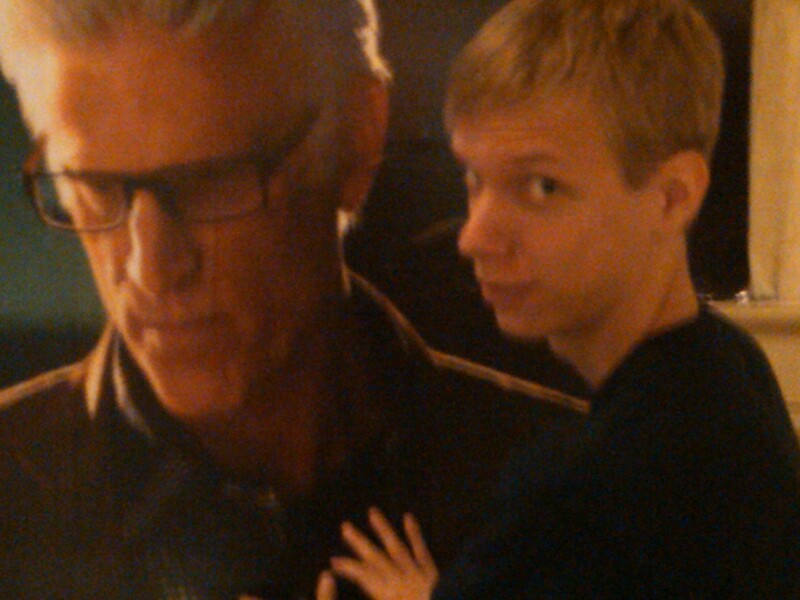 His hobbies include fondling Ted Danson. Rob, 54 posts – I just described everyone here as a virtual family, but Rob is the only one who’s actually family. Though he no longer posts regularly (and periodically I keep trying to bring him back), his Ogden Nash-laden baseball posts were a mainstay for so much of the blog’s development. Rob is missed, but I predict he may show up here again sometime in the not-too-distant future. His hobbies include being rich and successful, despite only being in his mid-20’s. Davember is alive and well! Mark, 23 posts – Before I met Amb, Mark became the first BoFN buddy I met through the blog, when he generously hosted me during an interview trip to Yale School of Medicine. We spoke like old friends, and I loved the opportunity to get to know him and his wife, Cheryl. Mark’s posts feature some of the finest writing to ever grace this blog. His hobbies include feverishly researching imaginary (but totally awesome) birds. Fannie, 21 posts – Fannie won me over the first time I ever read her pen name, Fannie Cranium, and was part of the first wave of Tuesday feature writers, along with Liz, Mark and Amb. Fannie is our traveling correspondent, going all over North America and finding funny named features along the way. Fannie is a treasured member of the team, and the only person to interview one of our funny-named subjects. Her hobbies include getting her awesome stories published. Liz, 21 posts – Everyone’s favorite Minnesotan, Liz takes a monthly break from her extraordinary food blogging to bring us some of the funniest names in food, and has done a heck of a job with that. Liz hit the ground running, with her first post gaining the attention of its subject, Crescent Dragonwagon, leading to an online friendship and becoming the stuff of BoFN legend. That was the first time a postee had contacted one of our writers, making Liz a trailblazer in BoFN’s development. Her hobbies include naming beverages after Funny Names bloggers. Wdydfae, 13 posts – Wdydfae, also known as Diddy or Diddz (according to Arto), is our easternmost correspondent, hailing all the way from… somewhere in Asia. He is renowned for his extraordinary blurb-writing, and has earned a special place in my heart for two reasons: 1. He was the first full-fledged member of Team Dave in the Amb vs. Dave challenge. 2. He gave me the nickname King Dave, in one of the greatest posts ever on BoFN. His hobbies include falsely believing that there is a scarcity of funny names in the world. Kerbey, 4 posts – The newest member of our team, Kerbey made the leap from awesome commenter to BoFN writer, on the recommendation of Liz. And much like Liz, her first post was exceptionally successful, getting featured on the official Engelbert Humperdinck Facebook page and bringing in 700 hits within a few-day span. Kerbey, with her quick wit and Texan awesomeness, has become fast friends with the rest of the bloggers here, and I think I speak for everyone when I say we’re extremely glad to have her on board. Her hobbies include posting pictures of her awesome 80’s hairstyles. Mailman, 2 posts – Ms. Mailman (yes, her last name is actually Mailman) swings by every now and then to deliver a heaping handful of incredibly funny names. 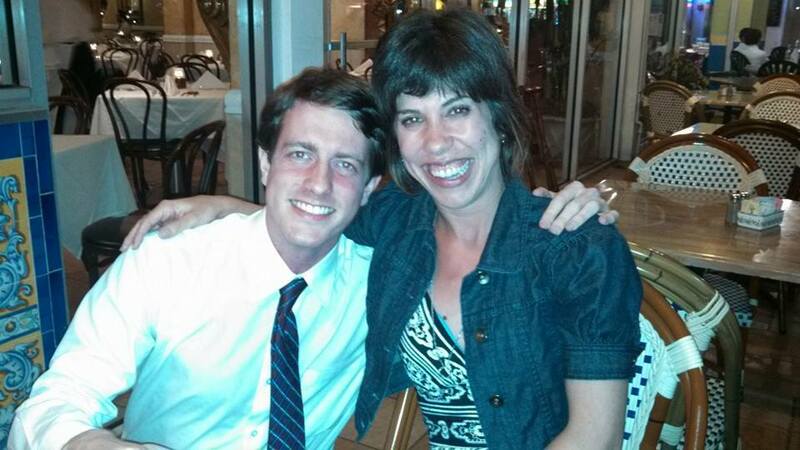 She has been a dear friend for some time and I hope to see her back on the blog soon. Her hobbies include getting married in October, and unfortunately losing the Mailman name. But I’ll still address her as Mailman! That’s the crew! Thank you guys all for everything, and here’s to 500 more posts. It’s been such a pleasure working with all of you! This entry was posted in Uncategorized and tagged baseball, comedy, funny, humor, humour, names, nascar. Bookmark the permalink. 40 Responses to The Blog of Funny Names Turns 500! Liking this twice–one for Arto’s awesomeness and two because you mentioned me 😉 Great collection of names, Mr. Arto. Clever to tie it all up with 500. Congratulations to Funny Names Blog! I can’t take credit for collecting this ragtag bunch of misfits (although I absolutely love that phrase)… it was kind of self-selection… you guys found your way to the BoFN and then we were delighted to bring you on board. The geography makes things pretty tough… Rob, Arto and I in SoCal, Fannie in Washington state, you in Minnesota, Amb in T-dot, Mark in Connecticut, Kerbey in Texas, and Diddz in wherever exactly he is. But I’m going to give it some thought. Somewhere in the great lakes region may not be a bad idea, since I believe Fannie travels a lot and it’s close to you, Mark and Amb. Once I figure out my med school schedule, then we can start thinking about it. It’s so wonderful that this blog has done so well. It started out with such humble beginnings, and has blossomed into what it is now. Thanks so much for being a big part of our journey. Thanks Dave and congrats to you and all fellow BoFNites! Like the fair food lady says, it’s been an honor and a pleasure! Quite a crowd to have the privilege of hanging out with: smarts, wit, class, and a whole lot of zanyness. Wait . . . I forgot the blurbs!
. . . BoFN’s dedicated dynamic duo doesn’t disappoint as King Dave and the Fabulous Finn offer up this feisty 500 roundup, ferreting out shovelfulls of funny names from unexpected places, and saluting BoFN’s indefatigable team of boisterous busy bees . . .
. . . poignant . . . haunting . . . evocative . . . emotionally resonant . . . an experience that lingers . . . Huh? Wait, I thought I was reviewing that French flick. Never mind!
. . . How could Kerbey get all those hits on her first post? It’s not faaaaaaiiiiiiiirrrrr! But don’t mind me. I’m just going to sit here and sulk. Just pretend I’m not here. That shouldn’t be so hard, right?!?!?! P.S. How do you do Italics in comments again? Three vials of blood… yikes! I hope it was to appease your vampire friends and not for any health emergency reasons. It is good to be king! And Mailman is unfortunately becoming a Carter. I’m going to her wedding in DC a few months from now, and although I expect to be well behaved, I may feel inspired to leap up when they say “speak now or forever hold your peace” and interject about how the world needs more Mailmans! LOL. At least one can pronounce Carter! Life will be easy. By the way, I ran into Dr. Soup at a conference two weeks ago. He sends along his hellos! Nothing gooey or squishy, of course. And Wdydfae, glad to know the blurb generator is still working. Thanks Fannie!! Did you like Arto’s “because fanny, tee hee!” comment in there? I’m so glad you ran into Dr. Soup! I can’t wait to be a doctor some day. I only hope I can hold a candle to his vaunted reputation. Thanks, Fannie. It’s a generous definition of “working.” As you can see, we’re still having some technical difficulties with the blurb generator. and congrats to the whole eccentric family, may you have 500 more+, and i’m sure it will be no problem, with lots of celeb babies being born and p.s. i love lanny mcdonald, he looks like the 3rd hanson brother of movie fame. Thanks Beth! You’ve become such a beloved commenter that I consider you part of the family too! Celeb babies are the best, especially Ever Gabo Jovovich-Anderson, who is now 7… they grow up so fast! Could you imagine if Lanny was in Slap Shot! That would be so awesome! P.S. I’m not sure if you know my full name, but I share it with a character from Slap Shot with the nickname “Killer”! So that movie holds a dear place in my heart! Psst, Beth – I know his middle name, and Rob’s too. Both provide movie and book references galore, and together they have excellent guest post potential. I’m just saying. We’ll talk. My people will call your people. P.S. Beth, I made this offer to Bonnie and you have been one of our most valued commenters and blogging friends for a long time, so I want to make it to you too. If you ever stumble upon a truly awesome name of a person who has some degree of notability, we’d love to have you on to write a guest post about it. If not, that’s great too, because your awesome commenting is always appreciated, and I know your super popular blog keeps you busy! Lovely job, I’m glad you found a particularly flattering shot of Lanny McDonald, that hero to the working man. 500. In Roman numerals, that would be D. Which stands for Dave! Whoa! Congrats on such a hearty milestone!! Thanks Bonnie! It’s pretty crazy to believe we’ve made it here! But we couldn’t have done it without our awesome friends like you! P.S. if you ever encounter an awesome name and want to share it with an audience, we’d be glad to bring you on as a guest blogger! Dave, that is, as our dear and lovely Amb would say, just seven kinds of awesome! Thank you so much for the vote of confidence! Though, I often feel like the girl standing over on the side of the room trying to catch up with the comments on here, let alone actually writing, but now..well, hmmm…you have set the bar. Thanks so much! Thanks, Dave. Here’s to the next 500! You bet! Can’t wait til you come to town in November and get to meet Arto and hopefully Rob! guess I should start looking for cheap airfare from here to there next Nov 😉 Now we need to reel in amb, Fannie, and Kerbey and the elusive and slippery Prince Diddy. Diddy, did you hear that? Liz just gave you a new name: “elusive and slippery”… Oops… I mean… “Prince Diddy”! Well, I rescheduled my scheduled Tuesday post so that it will appear in the waning hours (your time) of Tuesday, and so that this milestone commemorative post can stay up at the top longer. Because sometimes my noble, self-sacrificial qualities triumph even over my pathetic need for attention. No need to do that, but I appreciate your noble, self-sacrificial qualities! Look at me using italics! Getting kinda crazy around here, Dave. Pull yourself together. Haha, I will!!!!!! or will I???? Them are some pretty amazing italics! Some of the best I ever seen. Pingback: BoFN Update: Batting 500 with Tristram Shandy | What Do You Do for an Encore? Thanks for saying nice things about me even though I was too busy cottage-ing during funny named Canadian holidays to post this week. 500 posts later and you’re still my favo(u)rite. Pingback: Marking the Double Nought Milestones | What Do You Do for an Encore?